There are three kinds of people in the world: those who take a vacation to totally relax. They go to place like Hawaii and Mexico to stay at an all inclusive resort to golf or spend time in the spa. A vacation is a way to get away from the world. Then there are those who see a vacation as an adventure. It’s a chance to hike a mountain pass, to camp on the ridge and see the sunrise. A vacation is a chance to breath deep as they plunge into new experiences and to see what their bodies can do. Then there are people like me who want a little bit of both. I want a good hike in the morning, followed by an amazing meal of local cuisine. I don’t mind getting up for sunrise as long as there is a cup of tea and a comfortable bed waiting for me at the end of the day. I want to get away from my every day, but I still want to experience what the world has to offer. If that describes you too, I’ve got some great ideas for a fit adventure followed by a little R&R. Hood to Coast Relay: Here’s your chance to see that amazing sunrise! This 198-mile relay race takes you from Mount Hood to Seaside, Oregon. It’s the longest relay foot race in the world, starting early on Friday morning and lasting well into Saturday. Stay the night at the Shilo Inn in Seaside after the race to rest up, have a good meal, and catch the shuttle service back to Portland on Sunday. Standard Chartered Hong Kong Marathon: If you’re ready for your first destination race, I think Hong Kong is the best! The city is a great mixture of British and Asian culture. The course gives you an amazing tour of the city, with its modern center of skyscrapers and malls surrounded by temples and bustling neighborhoods. Give yourself a couple of days before to adjust to the jet-lag and a couple of days after to make a trip to Victoria Peak or Big Buddha. After the race, treat yourself to vegetarian dim sum at Lock Cha Tea House in Hong Kong Park. Kuli’ou’ou Ridge Trail in Oahu: It’s not an extreme hike, but it’s not easy either. Five miles round trip and 2000 feet up, it’s not for the inexperienced hiker. You get to see the dramatic shifts in vegetation at each level and the view at the top is worth the thigh burning “stairs,” lovingly added to the summit of the trail by the local Sierra Club. Bring some lunch and stay awhile on the ridge, taking in the views of windward side of Oahu. Or, after you make your way back down, grab a gorgeous kale salad and a roasted garlic pizza from the Kona Brewing Company. Mount Hua Huashan Teahouse: Found at the southern most peak of Mount Hua, the Huashan Teahouse is a Buddhist temple that serves a cup to anyone brave enough to make the trek. The path starts with the Heavenly Stairs, but soon the stairs give way to planks and narrow chained off mountain passes. Not for the faint of heart, a number of hikers each year do fall and perish. The tea, I hope, is reward enough, but if not explore the temples and tea houses in Huayin. The RACE (Race Across Europe): If you would rather race on two wheels versus two feet, this annual bike race is perfect for you. For solo riders or teams, the race starts in Calais and cuts a 4690 km route that end in Gibraltar. You’ll see the Rhine and venture into the Pyrenees and be rewarded with stunning views of the Atlantic Ocean, Mediterranean Sea, and North Africa at the finish. The RACE is divided into 24 approximately 200 km each. While it’s billed as the hardest cycling event on earth, the website says it can be accomplished by most anyone when cycling as a team. If you want to splurge while you recoup, check out the Sunborn Gibraltar. You can be the first of your friends to stay at a yacht hotel. Land of Contrasts Bike Tour – Japan: If a more leisurely ride is your style, try this bike tour through Japan. Hosted by Butterfield & Robinson, this eight day and seven night voyage isn’t just about biking. It’s about taking time to experience the wonder and beauty of this island nation. You’ll rest your body at night in fine hotels, eat fresh meals prepared by expert chefs, and visit a UNESCO world heritage site, Kyoto. This trip is luxury and adventure in one! Every vacation doesn’t have to be a bucket list trip to be a fit adventure. 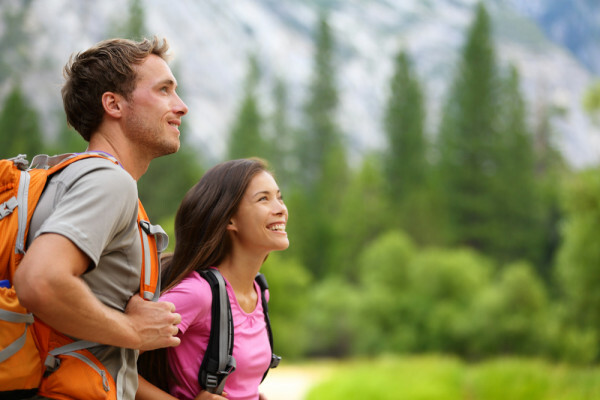 There are lots of ways to be active and explore on any vacation. I took 26,000 steps in one day just exploring Manhattan! Ask a local, wear your most comfortable shoes, and get off the beaten path no matter where you choose to roam. Pamela Hernandez owns Thrive Personal Fitness in Springfield, MO where she focuses on weight training for weight loss. She writes a blog for her web site sharing vegetarian recipes from her kitchen, exercise strategies, lifestyle tips, and stories from her own journey. You can also follow Pamela on Twitter or pick up more tips at Facebook.com/ThrivePersonalFitness.